“Today, I have announced the first step, which is to open a trade office in Jerusalem, the capital of the State of Israel, and this will be an extension of our embassy in Tel Aviv,” said Honduran President Juan Carlos Hernández in a statement issued by his government. Honduran President Juan Carlos Hernández (fourth from left, back) with Christian and Jewish leaders at an event hosted by the Latino Coalition for Israel. Credit: Latino Coalition for Israel. 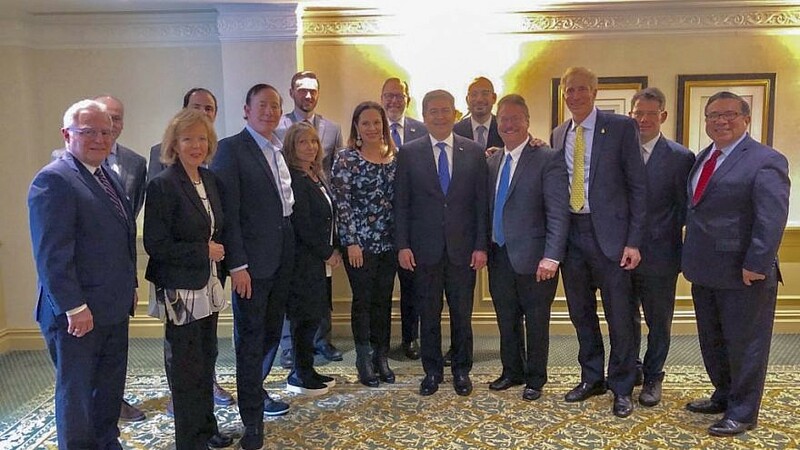 (March 29, 2019 / JNS) Christian and Jewish leaders met with Honduran President Juan Carlos Hernández in Washington, D.C., this week to applaud his decision to open a diplomatic mission in Jerusalem.